Windows Vista and IE9 somehow i have gotten 25Searchengines as a home page and it will not stay changed to anything else. Appreciate any help in getting this off of my pc. Can you try this for me on the other computer? And Internet Explorer should close and restart. Once that's done send me a reply. Ok good, so they might be toolbars installed on your computer. Is there any way you can contact me from that computer, or follow some instructions to download a program on it, allowing me to connect remotely? You can login to your email and open the first email you got from JustAnswer.com it should contain a password ***** you to login to our website. On your other computer, go to www.justanswer.com and click login. Use your email and that password ***** login. Once you're in, click on "My Questions" at the top right and you should see a link to this page. You can reply to me from there. I don't have access to that, nor can I view any email address you type on here, it gets blurred out. It's the email you used when you asked your question on our website, did you type any in? That's because you must login using your email and password ***** you can't simply use the link. How about I just give you the information on what you need to download? To get connected go to the following link. Hi Tom, the computer should have restarted after the scan, can you let me know when it's back up and could you open Team Viewer again so I can sign back in? It may have a new password ***** I'll need as well. 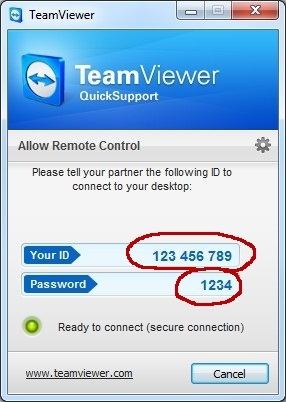 Ok, let me know when it's done and running Team Viewer again. If you have any doubts or would like any additional information or assistance, please do not hesitate to let me know. And if you're happy with the service I'm providing so far feel free to click on one of the 5 stars above (5 being the best) followed by Finish as it would be greatly appreciated! Remember you can continue replying to me until you've got all the information you need. I cant seem to be able to connect my Tom Tom One to my computer.